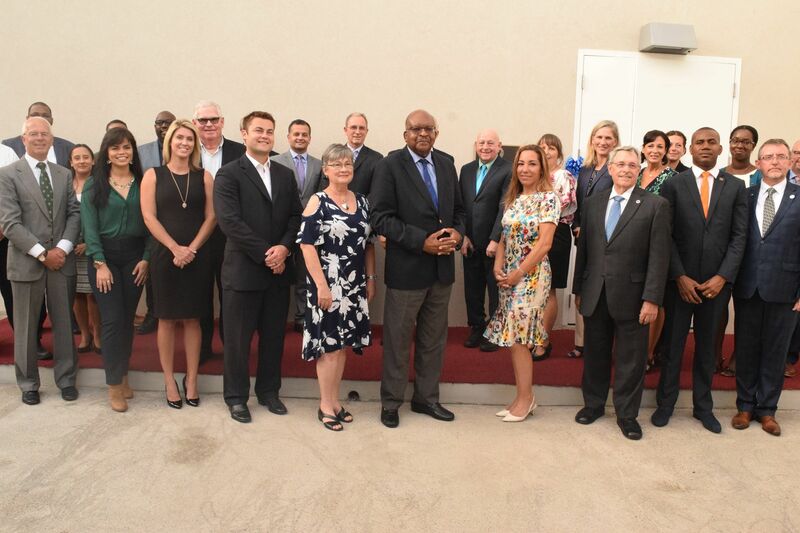 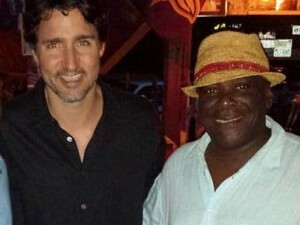 BASSETERRE, St. Kitts, July 11, 2018 (Press Unit in the Office of the Prime Minister) – On Tuesday, July 10, top level government officials in St. Kitts and Nevis joined representatives of Ross University School of Veterinary Medicine (RUSVM), as well as officials from its parent organization – Adtalem Global Education, for a ribbon cutting ceremony that signaled the official opening of the institution’s new multimillion-dollar Research and Pathology Building. 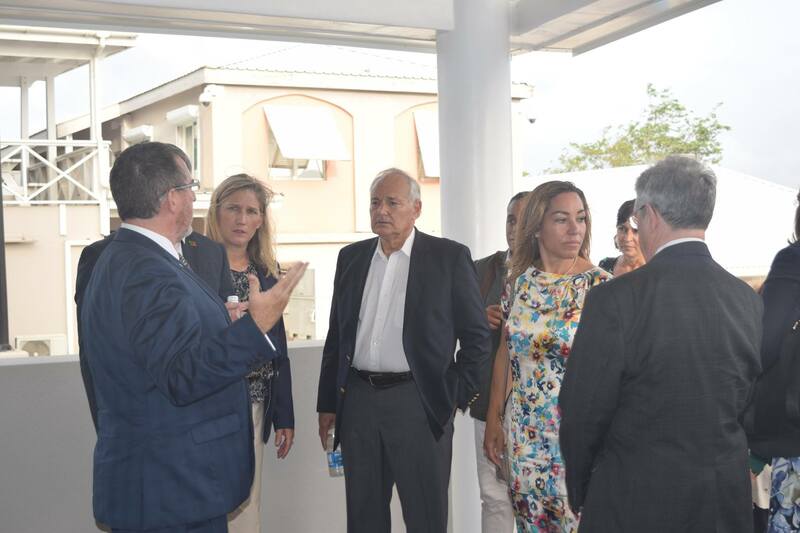 The ceremony was held under the auspices of the Governor General, His Excellency Sir S.W Tapley Seaton. 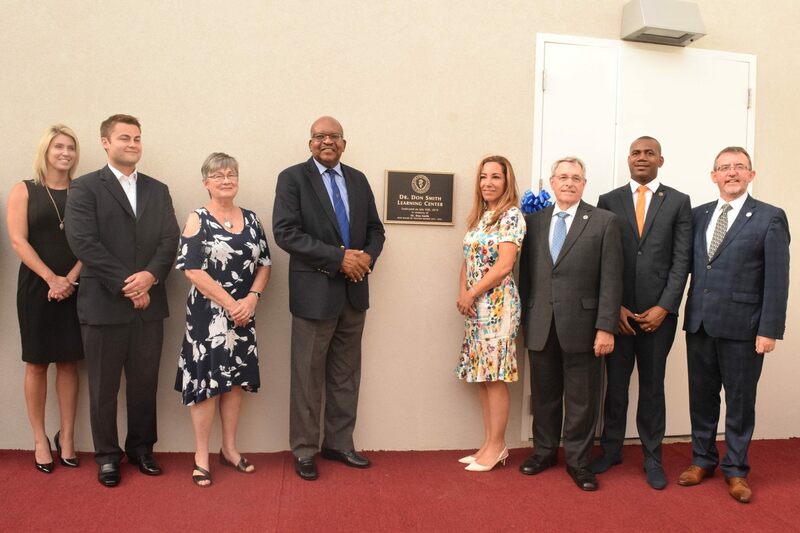 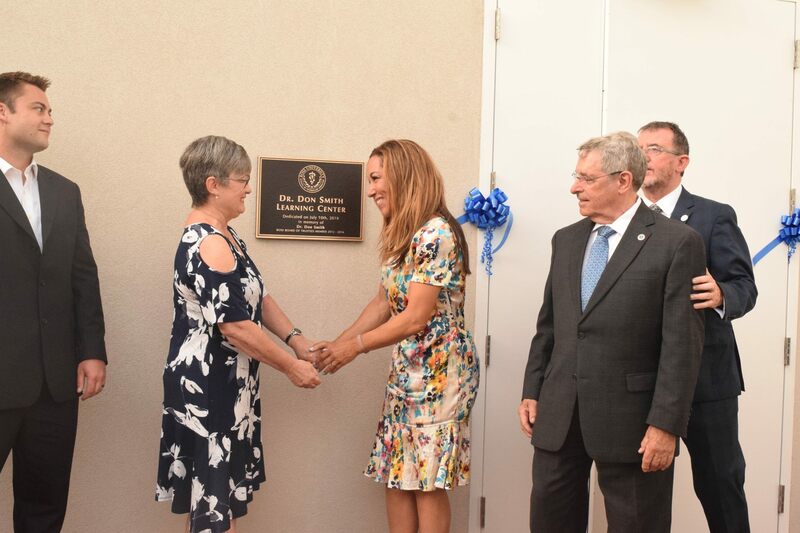 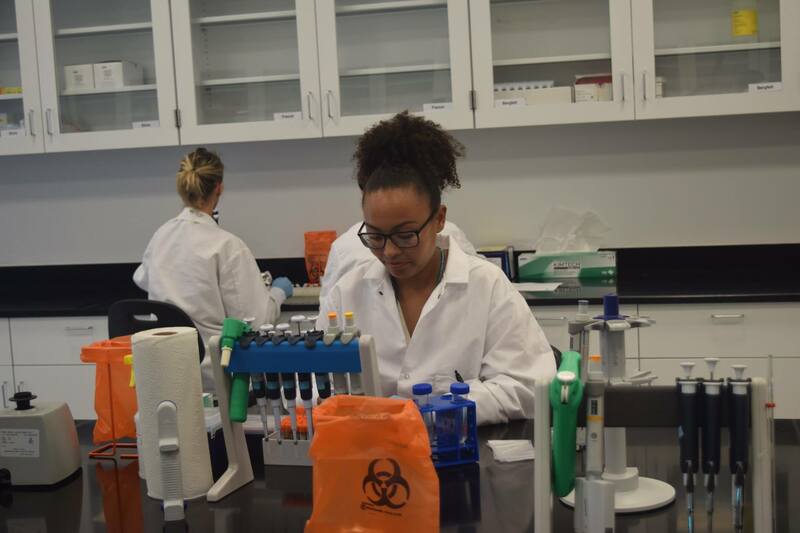 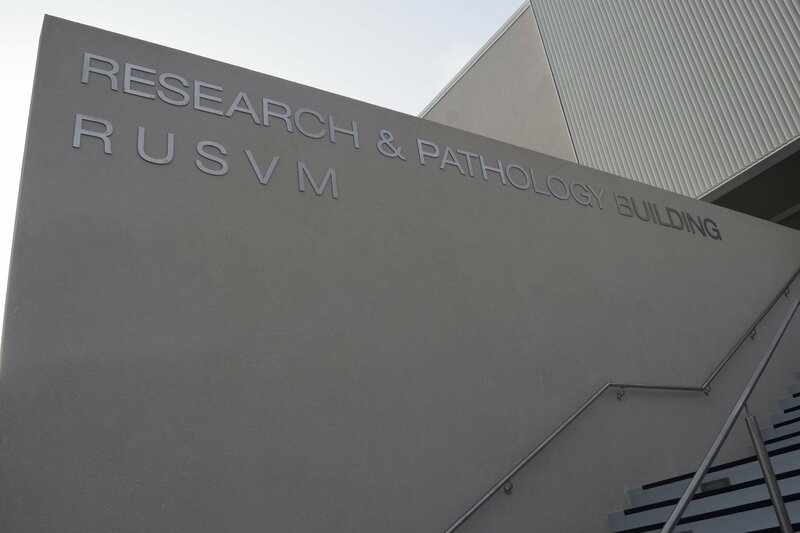 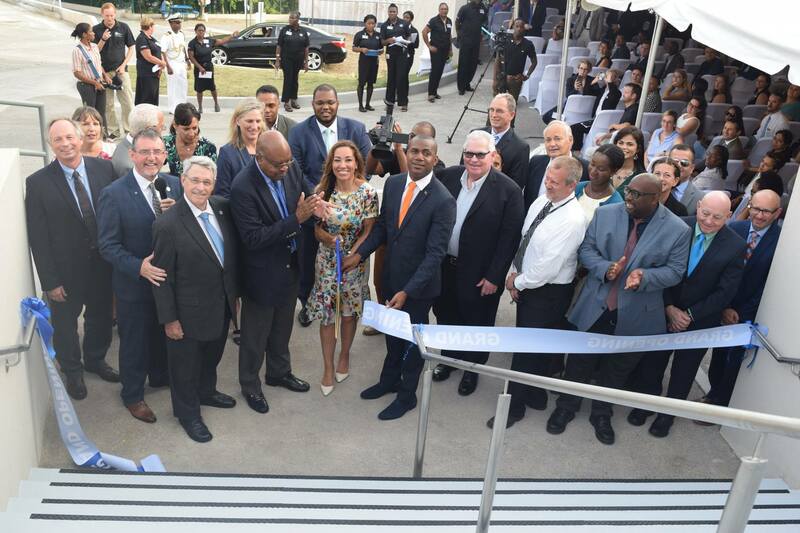 The US$10.5 million building features 13,000 square feet of research space and comprises a pathology viewing area to enhance student learning and allows for multidisciplinary research to benefit human and animal health in the Caribbean. 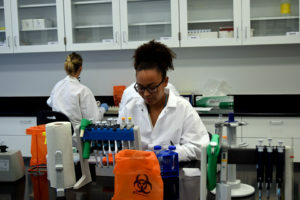 It is understood that the research in the new facility will allow for an improved understanding of zoonotic and vector-borne diseases and endangered species and ecosystems in the region. 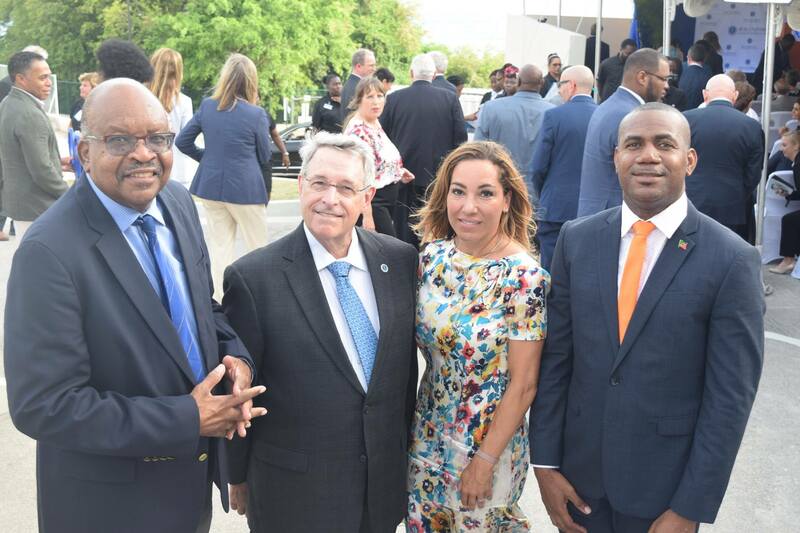 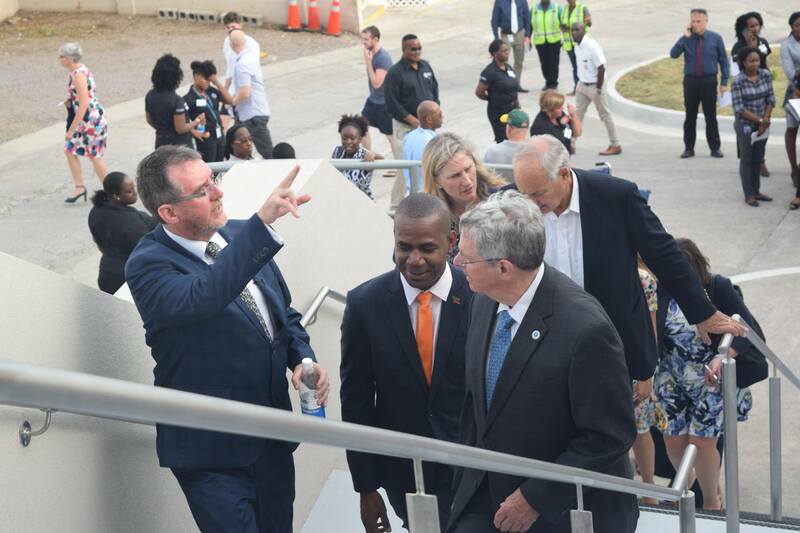 Deputy Prime Minister and Minister of Education, the Honourable Shawn Richards, while delivering remarks, expressed his delight with the potential of the research that will be conducted right here in St. Kitts and Nevis. 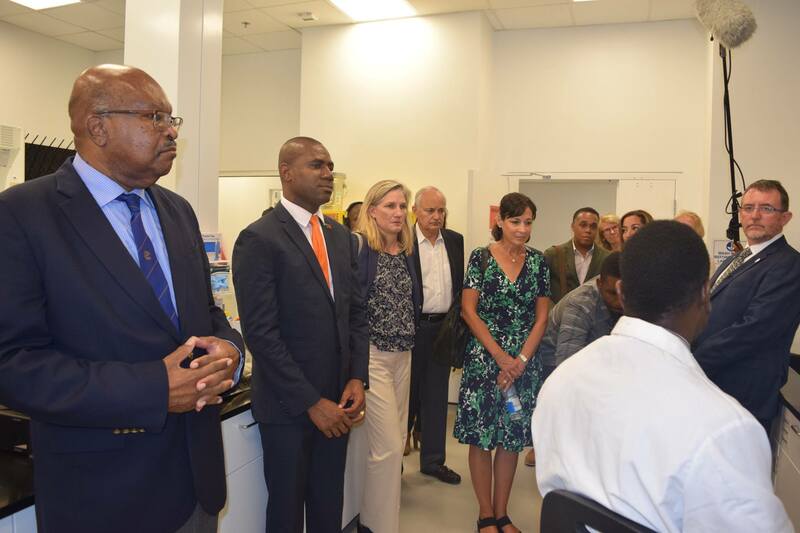 The deputy prime minister also stressed that the new research and pathology building will further strengthen St. Kitts and Nevis’ food and agriculture sector. 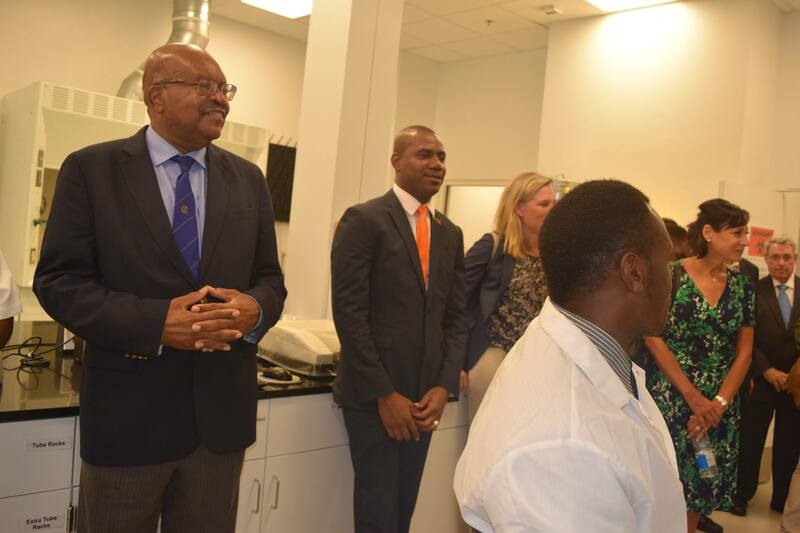 Deputy Prime Minister Richards disclosed that Ross University School of Veterinary Medicine and the Government of St. Kitts and Nevis, through the Department of Agriculture, already enjoy a longstanding relationship in respect to pathology services. 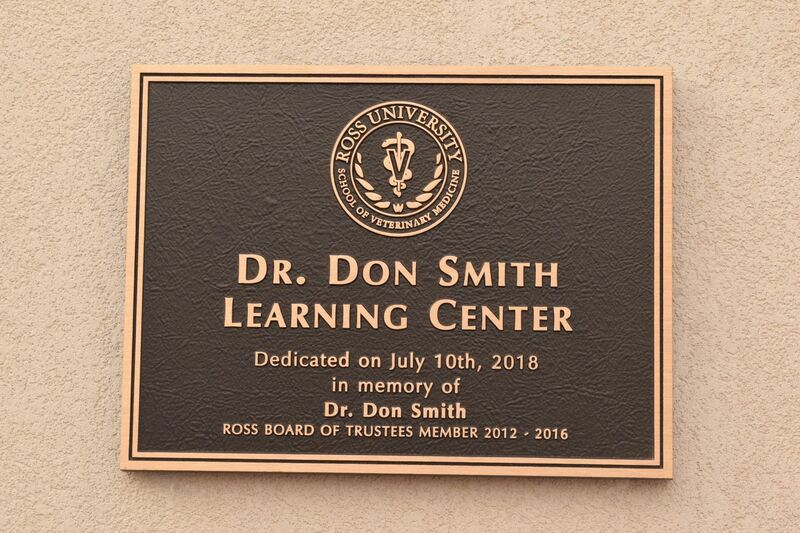 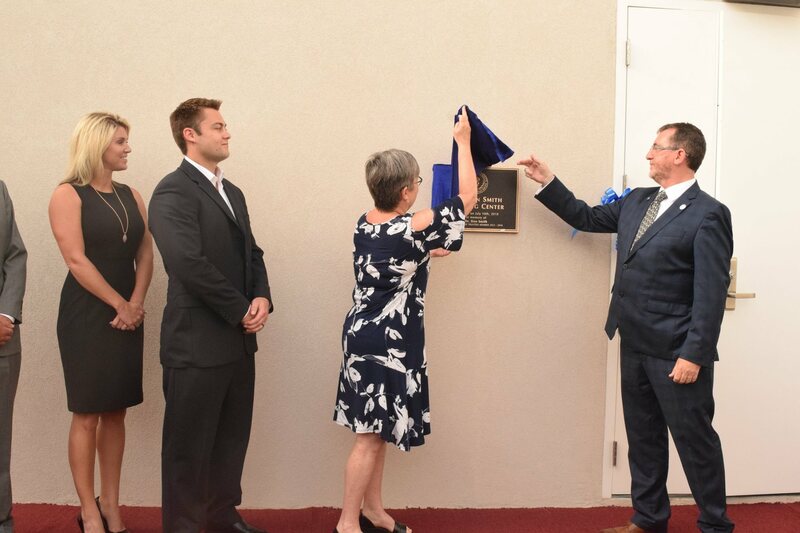 Tuesday’s opening ceremony also saw a section of the new facility being dedicated the Dr. Donald F. Smith Learning Center, in honour of RUSVM Trustee, Dr. Donald F. Smith, who passed away in 2016. 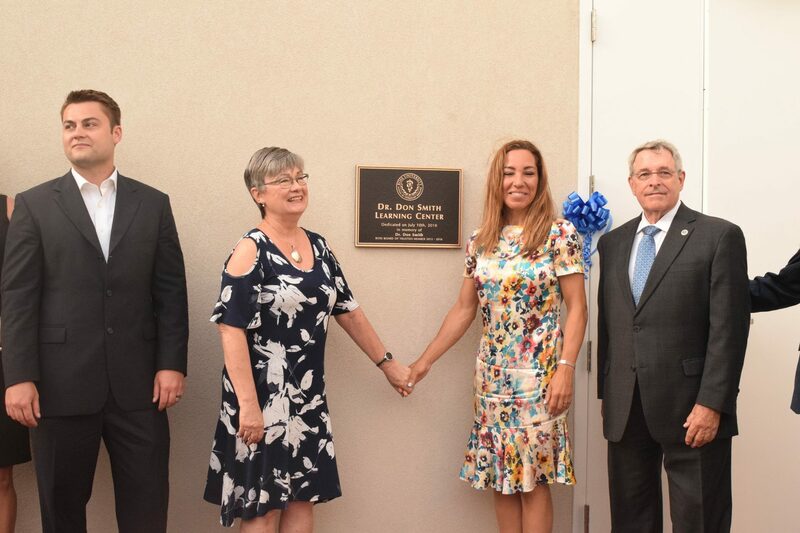 Dr. Smith is remembered as an accomplished large animal surgeon, veterinary historian, writer and speaker, and a champion of women in leadership.